Concrete is one of the most challenging materials to cut safely, and it pays to use high-quality oscillating tool blades. Imperial Blades offers a complete line of oscillating blades for a wide range of materials. 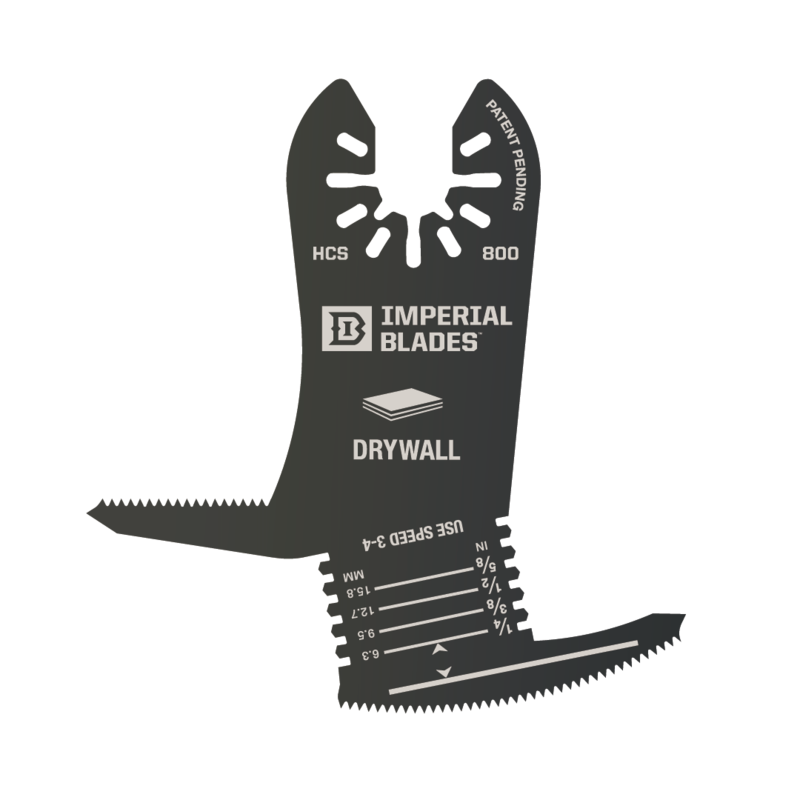 If you need to cut concrete, brick, plaster, grout, or any tough porous material, check out these excellent blades from Imperial Blades. The ONE FIT Segment Diamond Grit Blade from Imperial Blades is one tough customer. Accurate and durable, this diamond grit blade allows you to tackle many jobs around the work site. Concrete and brick are no match for its cutting power, and the diamond coating provides a long-lasting and consistent cut. It’s perfect for a bathroom renovation project for grout and tough plaster. ONE FIT technology insures your oscillating multi tool blades are compatible with the vast majority of tool brands. Check out this diamond-powered oscillating blade from Imperial Blades, tougher than anything you can throw at it! Get your groove on with the Segment Carbide Oscillating Blade from Imperial Blades. This tough customer is perfect for cutting grooves in concrete, scoring plaster, and removing stubborn grout. It’s accurate, durable, and compatible with hundreds of oscillating multi tool blade formats. A carbide-grit coating provides a long-lasting cutting life with consistent performance. This oscillating tool blade is one of my favorite tools in my bag. It’s the ideal tool for a huge range of painful jobs I encounter. Need to get in between broken tiles to remove stubborn grout? This carbide segment is ideal to reach under and into tight spaces. It makes quick work of wood, adhesives, masonry, and thinset. It’s a great blade to keep in your bag, perfect to bail you out and save you time when you need it.